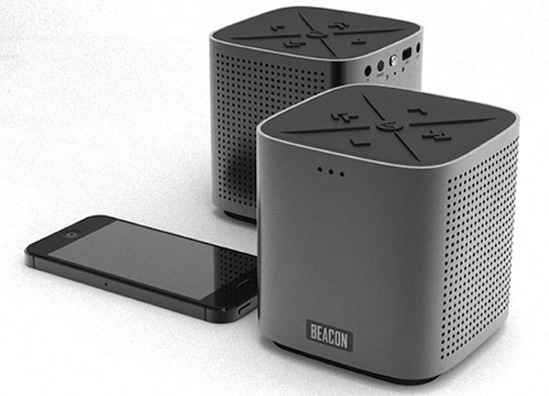 Portable speakers for your next desk or adventure just got a whole lot more attractive with Beacon Audio‘s upcoming speaker, The Blazar. With a chic, cube shape design, The Blazar connects to your smartphone, tablet or laptop via Bluetooth to fill your office or hotel room with sensational, 360-degree sound for up to 12 hours. If you are having a party or just want more sound, you can pair with another Blazar for a dual-stereo system.The soft, top controls and built-in mic are also other nice upgrades from last year’s hit, The Phoenix. When can you buy one? Beacon just launched a Kickstarter for the product where you can pre-order a speaker for an early estimated delivery of September/October. These little guys are on fire, with already almost half of the goal met. Go and claim yours now! 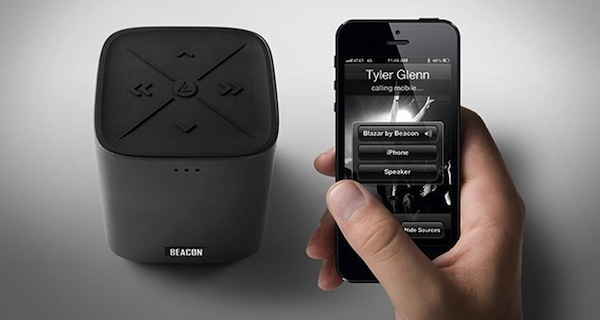 Posted on July 24, 2013, in Tech + Gear and tagged Gear, Speakers, Tech. Bookmark the permalink. Leave a comment.